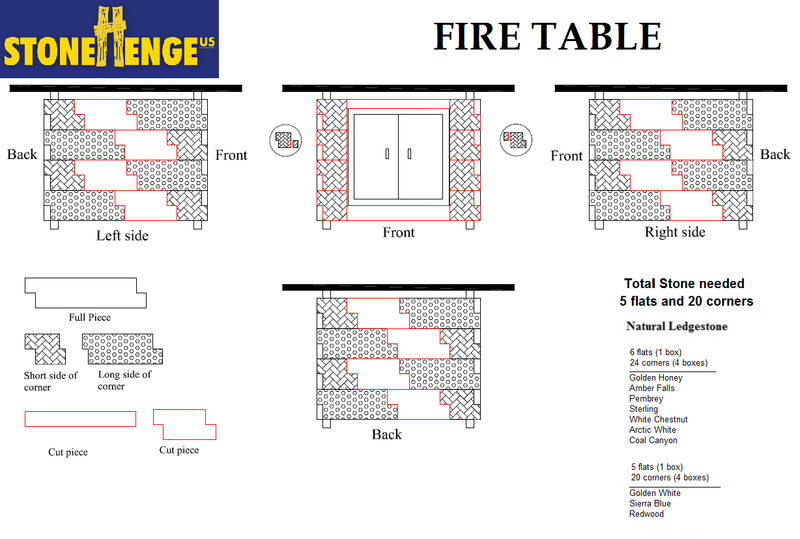 The STONEHENGEus fire pit table comes ready to stone. 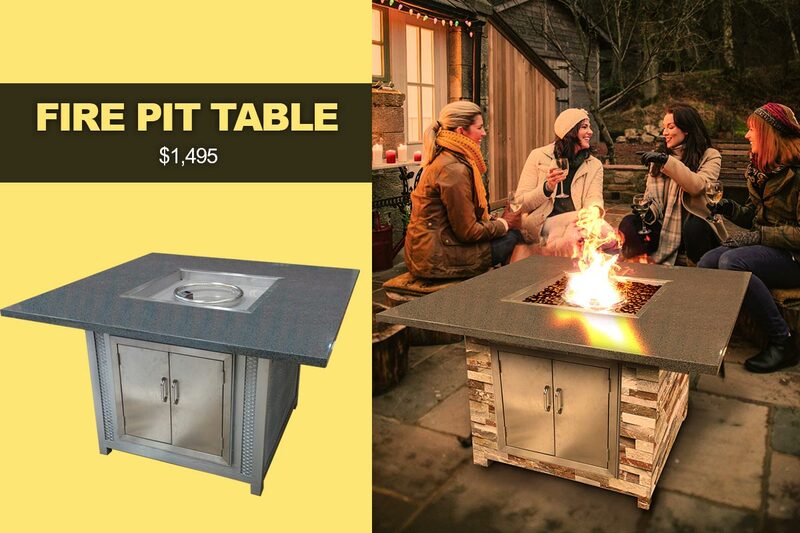 Our fire pit table is an iron structure with galvanized wire. NG or LP. Includes granite and stainless steel doors.